Heathrow is the second busiest airport worldwide (after Dubai international) and connects to 185 other airports in 84 countries. When you consider its size it fares acceptably compared to other UK airports in terms of flight disruption. Nevertheless passengers are still sometimes beset by delays and cancellations. 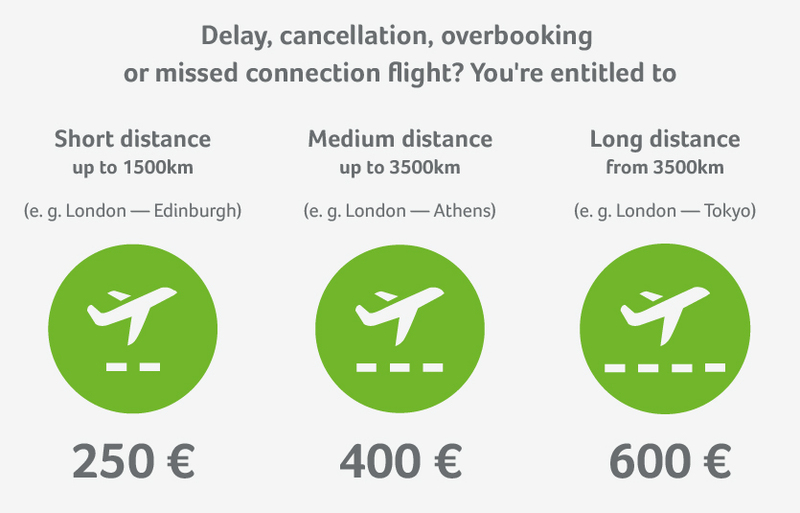 If you suffer disruption we will help you to claim your compensation with whichever airline you were flying with. Make use of our free online calculator and check if you’re eligible for compensation. More detailed information regarding your passenger rights and the EU-regulation. If the delay time extends past 5 hours you’ve got the right to cancel your flight. The airline is obliged to either reimburse you in full or offer you alternative transportation. When the flight is delayed till the next day the airline must see that you are accommodated in a hotel and cover your costs of transport to and from the hotel and airport. Get in touch with the airline directly and ask for a written commitment on your hotel and transfers. Important: Don’t accept the airlines' excuses! Credit for food or a hotel doesn’t negate the airline’s responsibility to compensate you. Thanks to our expertise we enforce compensation with a very high success rate. This is what allows us to offer a free service if your case is unsuccessful! In 2016 a record number of passengers used Heathrow airport - a staggering 75.7 million across 84 countries. The most flown to airport from Heathrow is New York JFK and Heathrow is easily reachable on the London tube (Piccadilly line). Over 800,000 minutes were spent by customers experiencing delays in 2016 at Heathrow airport. They also cancelled nearly 1,000 flights. Based on the size of their operation this actually leaves Heathrow somewhere in the middle for punctuality when compared to other UK airports. Wifi is available for all passengers in all terminals at Heathrow Airport. You’ll need to register with their wifi for standard access. Alternatively, if you’re a Heathrow member you can enjoy much faster speeds, or you can pay extra for this privilege. If strikes are carried out at London Heathrow Airport, you’ll most likely be unable to claim compensation for delays or cancellations, as the airlines consider this an ‘exceptional circumstance’. You will still be able to receive additional services and benefits, including the option for alternative transportation. More information about London Heathrow can be found here.